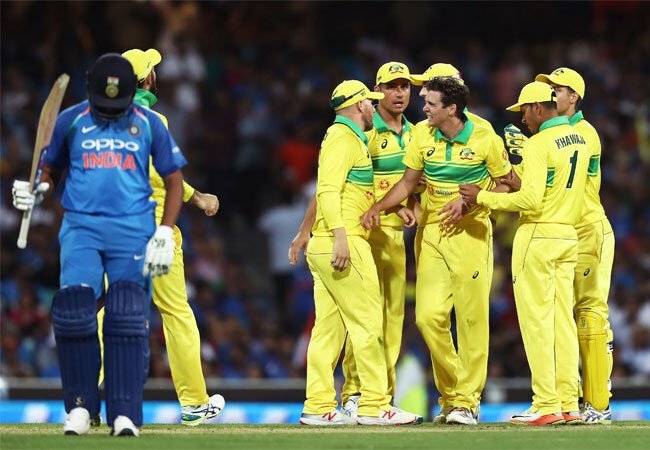 Australia’s Jhye Richardson proved to be lethal as he took four Indian wickets especially that of Indian skipper Virat Kohli. The 22-year-old’s terrific bowling got India to a halt giving Australia the first ODI win against India. 1. Where is he from? Richardson born on 20 September 1996 is an emerging fast bowler from Western Australia.He used to say that due to his height (178cm) he was initially discouraged by coaches to become a pacer – a role which is generally associated with taller and weightier cricketers. Seeing his performance, he was named in Australia’s One Day International (ODI) squad for their series against England in January 2018.Richardson in First-class cricket has 49 wickets in 11 matches.In List A, he has 32 wickets in 21 games.In T20s, he has taken 34 wickets in 29 matches. Richardson had a productive BBL season in which he collected 11 wickets. He was awarded the Player of the Match when he ran destroyed Sydney Sixers middle-order taking 3 for 30. He helped Perth Scorchers win the title. Australia defeated India by 34 runs and a major contribution to it was by Richardson. He was named as the Man of the match for his four-wicket haul just for 26 runs. He was career-best figures in an ODI, the previous being three wickets for 92 runs.